Life can be stressful. Finding a happy hour shouldn’t be. Let the SSLA team take care of you. 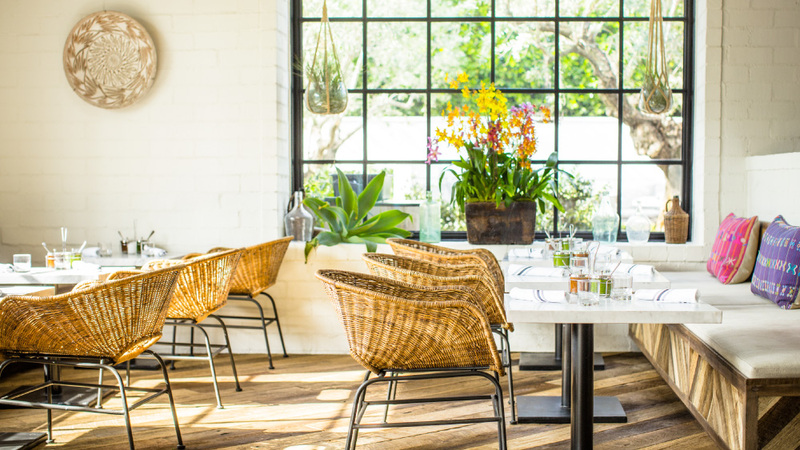 Here are the happy hour hot spots you need to know in LA. Just getting off of work? Or, getting excited for a night out? WeHo has whatever you’re looking for with their great happy hour deals. Cecconi’s in West Hollywood offers amazing deals on their 4 to 7 menu; select food and drinks $4 to $7 from 4pm to 7pm Tuesday – Saturday. So, enjoy backed gnocchi or their famous black truffle burger with a cocktail all for under $15. Tacos + tequila = the best way to end any work day. Toca Madera‘s happy hour menu offers great tacos, tamales, and empanadas for $8. The drinks are as much of a steal too they offer their Toca Margarita for $8 as well as two other cocktails. Gracias for the amazing happy hour deals. Everything on the menu at Gracias Madre is $6 offering nachos, tostadas, tacos, and more. The cocktails, wine and beer are also $6 with the choice of their mezcal mule, sangria, or margarita. This beautiful patio attached to the Mondrian Hotel offers not only great vibes, but great drinks. The Ivory’s cocktail hour has amazing $9 drinks that can be enjoyed with small plates on Sunset Blvd. 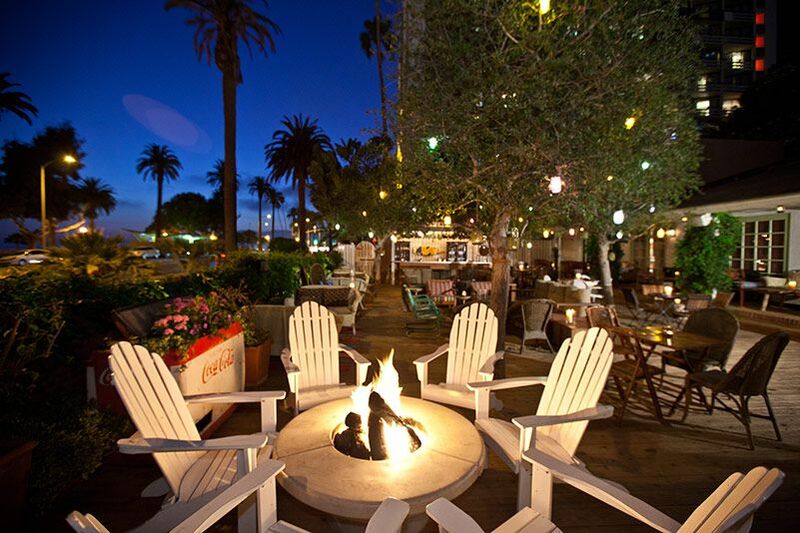 Start your night out a little earlier in Santa Monica at any of the amazing happy hour deals. One of Santa Monica’s staple bars will have you coming earlier for their happy hour steals. The Bungalow offers martinis, margaritas, cocktails, beers and wine all for $4 – $8. They also offer amazing small plates that can serve as great appetizers for the night. Whisky that makes you frisky. If you’re looking for a little indulgence you should check out the happy hour food and drinks at The Basement Tavern. Enjoy a Santa Monica sunset with a Hawaiian Sunset made with vodka, lime, hibiscus and raspberries for $8. The beer selection is also one of the most extensive we’ve seen on any happy hour menu, definitely worth checking out. P.S. You can also score a cute Instagram in front of their whisky. Cocktails by the ocean sounds good to us! Head over to Mercado for top shelf margaritas for $7 – $9! You can also indulge in their amazing guacamole and/or tacos for less than $10. Any menu that includes grilled cheese on the menu makes them our happiest happy hour. Bar Chloe offers beers for under $5 and cocktails and wine under $7 in the heart of Santa Monica. Taking our happy hour hopping to the good ol’ 90210. Beverly Hills is a hotspot for shopping, dining and… drinking? Located on Canon Dr., The Bar Room at Porta Via is named one of Beverly Hill’s best happy hours. Enjoy your drinks in their beautiful space with $4 beers and $6 cocktails and wine. P.S. most of their bites at the bar are 50% off! The Sidebar’s sophisticated modern lounge is the great place to grab a few drinks ($12) and appetizers before a nice dinner. You didn’t think we’d leave out one of the coolest parts of LA, did you? Enjoy the happiest of hours on one of LA’s best rooftops. Perch’s French inspired décor offers amazing views and even better drinks. The lounge seating offers fire pits and comfortable seating… everything you need for the end to a relaxing day. Another classic downtown rooftop spot just got better with their $5 wine/champagne, $6 select beers and $7 well drinks. The Standard turns into a fun night spot as well so make sure to snag a good spot early. Did you drink to this list? Tweet us @somethingsocial or tag us on Instagram- @somethingsocial.